The coming cooler temperatures call for warm baked goods and in honor of the first day of fall, I’m sharing my favorite cobbler recipe made from pie crust. 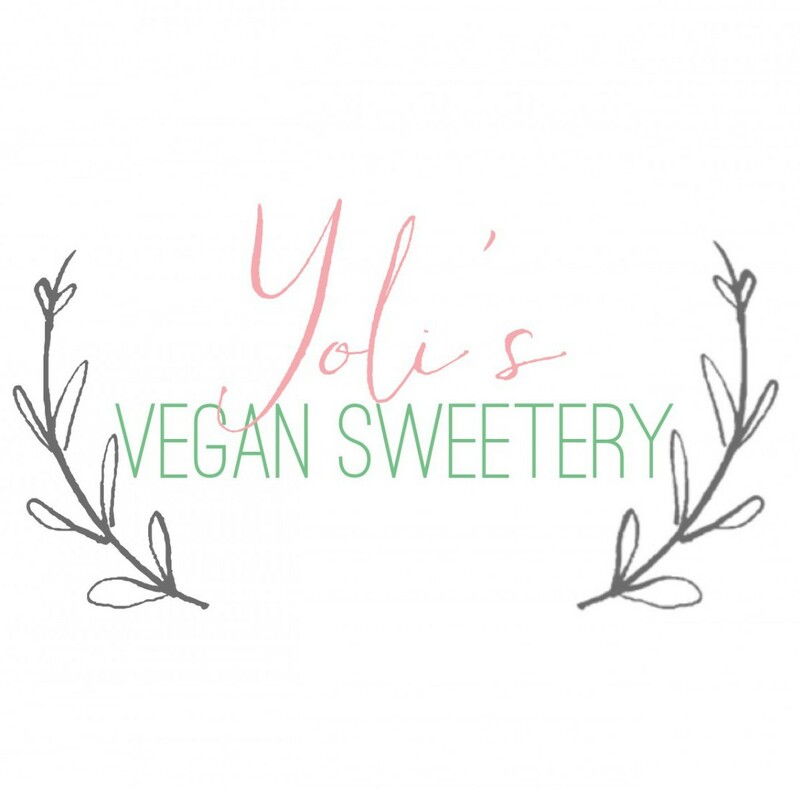 Bake one pie crust (follow the directions for the brand you buy) • Pour fruit into a large bowl (if you include canned fruit juice your filling will be more moist, if you drain it your filling with be more dry and crumbly. 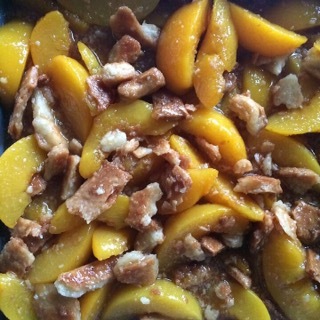 Use more or less according to your taste) • Add the sugar and nutmeg to the peaches • Remove the baked crust from the oven when done and turn the oven temperature to 400 degrees. • Break up the baked pie crust into small pieces and add it to the bowl • Toss to combine the ingredients • Pour the mixture into your baking dish • Cover the mixture with the remaining unbaked crust. 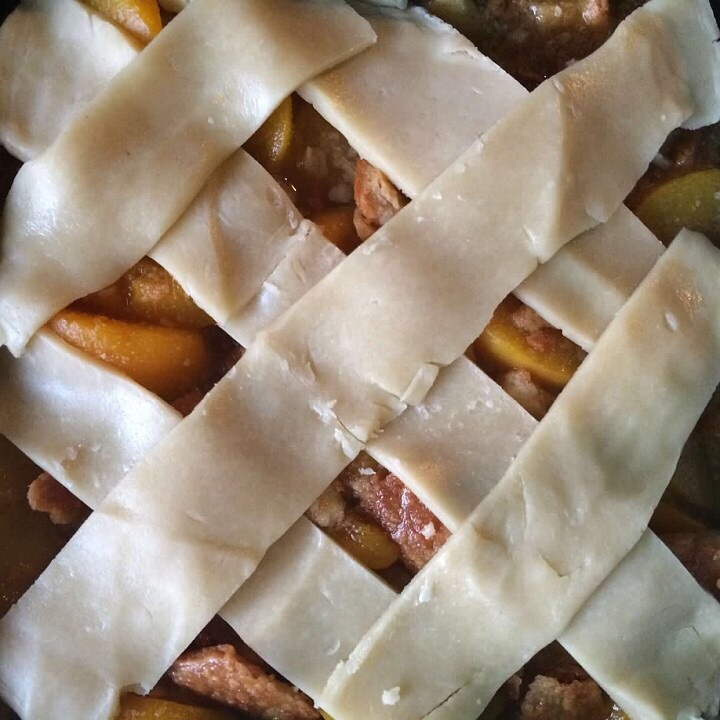 (If you plan to cover the entire dish with the pie crust cut slits in the crust to allow air to escape. For this version, I topped mine with a lattice design.) • Dot the top with the Earth Balance Buttery Spread• Place the cobbler in the oven. 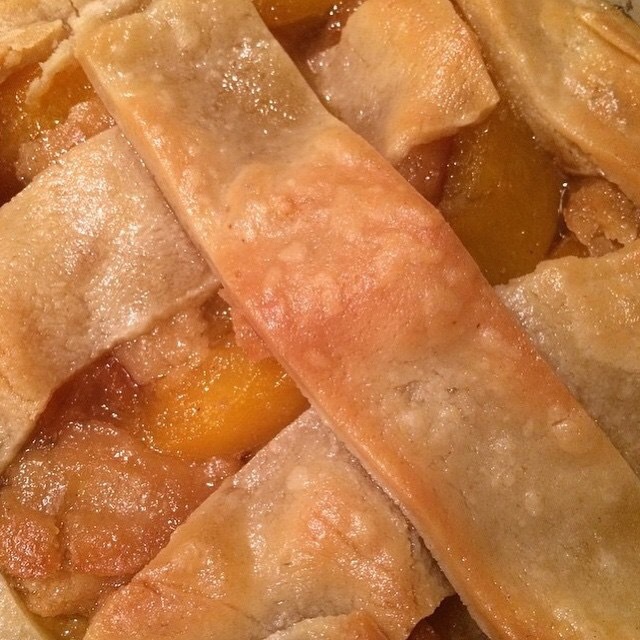 Bake until the fruit is bubbling and crust is flaky and golden about 35 minutes. 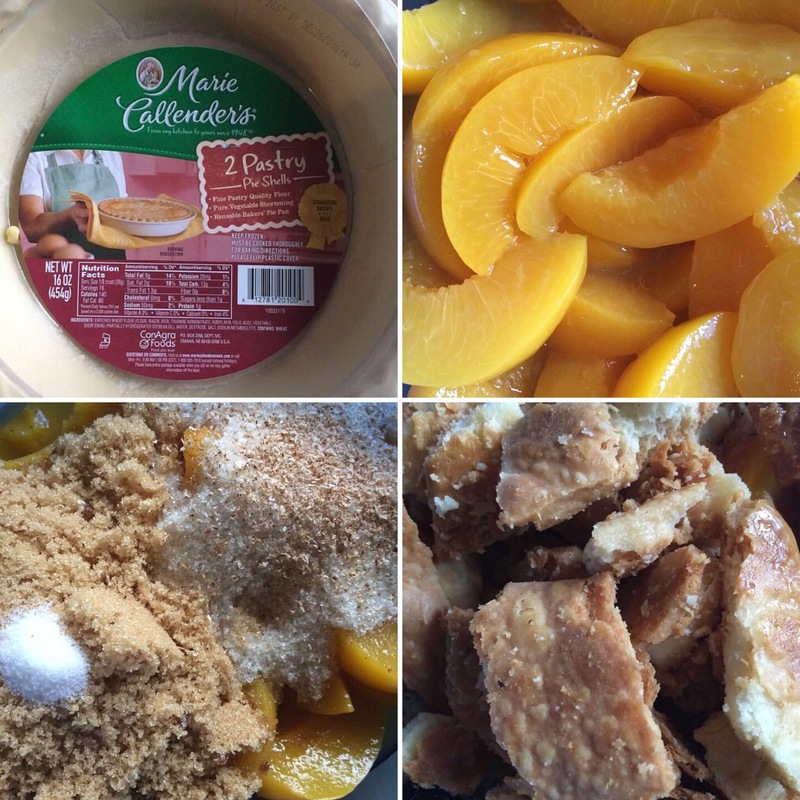 This cobbler made with vegan store bought pie crust is easy, quick, and good enough to enjoy on any cool fall day!